Rank Math vs Yoast SEO: Yoast SEO Plugin is the most popular SEO Plugin these days but another legend company MyThemeShop.com launched their SEO Plugin to fight the Best SEO Plugin War. I have used both plugin and doing the Rank Math SEO Plugin Review. 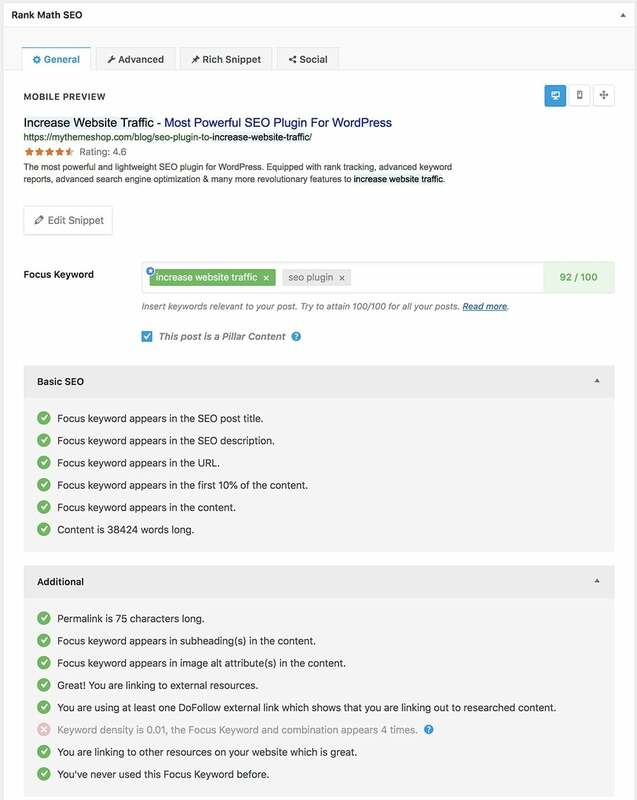 With these, we will see which is the best between Rank Math vs Yoast SEO Plugin. Is Rank Math can beat Yoast? can Rank Math be best SEO Plugin in this best SEO plugin war? Before we compare both plugins we must need to what are they provides. Here is a video introducing Rank Math. Yoast is a legend SEO Plugin for a long time and the best choice of most of the blogger as an SEO Plugin. Rank Math is an SEO plugin for WordPress by MyThemeShop. Rank Math Plugin comes with most advanced features and functionality. Presently, it is available for free on MyThemeShop. Rank Math is getting more popular and if we see it’s a crush on Google, a lot of people searching on Google with rank math plugin download query. Rank Math SEO Plugin Download is free of cost. It can be downloaded from MTS official website. So, you are waiting for this line because every blogger wants to know which is the best SEO plugin between Rank Math and Yoast SEO. So let get started to know the best between Rank Math SEO vs Yoast SEO Plugin. I believe that both plugins have an easy setup wizard. Additionally, if you are using Yoast SEO then Rank Math will import all Yoast setting like Focus Keyword etc. So here both plugins are equal and no one is the winner or loser. If you look at the interface to use that also both are the simple user interface and I see that I didn’t face any problem to use. I am confusing that why MTS showed Yoast doesn’t have the clean user interface in their this post. So here also no one is the winner, both are equal. Yoast Premium allows using up to 5 focus keyword but the free version allows only 1 focus keyword. But Rank Math is free and you can use up to 5 focus keyword. So here Rank Math is more powerful then Yoast, Rank Math is the winner. This is one of the best features of Rank Math which I liked most. Rank math has inbuilt Google Keyword Suggestion when you will try to enter the focus keyword. But Yoast doesn’t have this so one more here Rank Math is the winner. Rank Math comes with the in-built rich snippet function so you don’t need to install another plugin to show rating and review on Google. But Yoast here also doesn’t have rich snippet feature on any kind like this. Rank Math can show 14 types of the rich snippet on Google without any other plugin including rating, article, book, software, person, video, event, book, music etc. Here one more Rank Math won on Yoast with this great feature. Social Media Optimization is important for getting more traffic and both are able to do this so no one is the winner here. You can see how your post will be shown on social media like Facebook and Twitter after publish but you need to pay money in Yoast because this is a premium feature in Yoast. This is available for Free on Rank Math so I do thumbs up for Rank Math. Rank Math has better Nofollow link manager. It also adds an option to quick do nofollow link without touch HTML. So here one more I do thumbs up for Rank Math. MyThemeShop’s Rank Math is new in Market and Yoast is a top SEO Plugin on WordPress. Yoast has better support community. Rank Math also says to provide 27x7x365 support but this time I thumb up Yoast. Both provide a content analysis system to write SEO fully content. Both plugins are able to generate the sitemap for search engine submission. Yoast and RankMath plugin have redirect manager but RankMath has free and Yoast has paid. So here I vote Rank Math. Conclusion – So, my dear readers, I think you got the answer of who is best between Rank Math vs Yoast SEO Plugin. Most of the advance feature of Yoast SEO is premium but Rank Math SEO Plugin is completely free. Hi MUKESH PATEL, Can we use same account for different websites to install Rank MAth? Yoast Premium ki pricing kya hai?